A rapid progress of low-impact development type of best management practices for urban storm water runoff quantity and quality control at a global scale has occurred in the past decade. In-depth research on low-impact development type of best management practices as useful technologies and measures to control stormwater runoff is being conducted worldwide. This paper presents a literature review of the environmental and economic evaluation of low-impact development type of best management practices through life cycle perspective. Research gap and future agenda are also proposed. 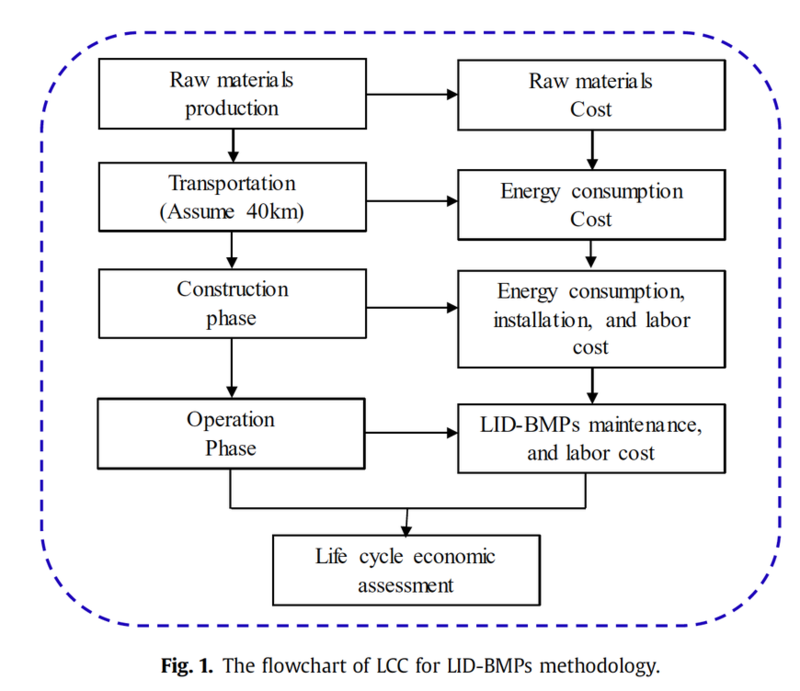 Results show that life cycle assessment or life cycle cost analysis for low-impact development type of best management practices are widely documented. However, certain challenges still exist. Most works involved only onsite or facility scale or just considered certain environmental effect aspect. In addition, the lack of onsite monitoring data of water quality and quantity affects further research on low-impact development type of best management practices evaluation. In most emerging and developing countries, low-impact development type of best management practices implementation is still in the start-up stage. Quantitative life cycle assessment or life cycle cost analysis studies of low-impact development type of best management practices can provide necessary and useful information for decision-makers in regional scale low-impact development type of best management practices arrangement. Low-impact development type of best management practices database based on specific regions should also be established to support further in-depth research. Finally, low-impact development type of best management practices can offer various benefits to urban eco-systems. Researchers should provide a combination of environmental, economic, and social benefits of low-impact development type of best management practices to fulfill sustainability.